The Amperis Company has taken the worlds #1 Arc Reflection Cable Fault Locating System, and combined it with the latest in VLF Cable Testing Technology to create the new AXFV Series! The AXFV has the easy to use cable fault locating you have come to rely on, and has seamlessly integrated menu driven VLF Hipot Testing. The Amperis AXFV Series of Combination VLF test and Cable Fault Locating equipment is designed to meet all of your needs for VLF testing of underground cables and cable fault location. VLF has been recognized as an alternative test method to the traditional high voltage DC hipot test. VLF is designed to provide similar stresses to a 50/60 Hz AC test, without the extremely high power and equipment requirements of such a test. Can also be mounted in a vehicle in such a way as to allow them to be removed to access test sites that cannot be accessed by vehicle. Portable systems are designed in one piece with an integrated hand truck. This allows one person to easily move the entire system over rough terrain to access the test location. The system is designed to allow easy loading and unloading from any standard truck. Runners are provided for sliding the unit into small trucks and vans, and a lifting point is provided for taller vehicles such as aerial lift trucks. Why VLF and a Cable Fault Locator? 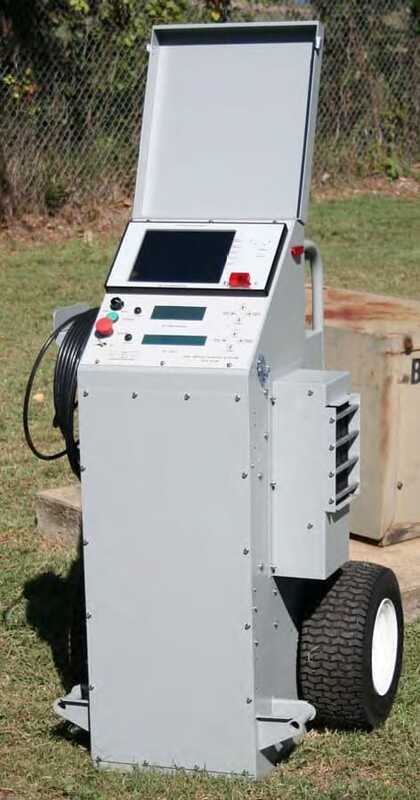 VLF Hipot testing is quickly becoming the preferred method for cable testing. VLF Hipot testing allows the operator to take those few spots in a cable which are near failure and allow them to fail in a controlled manner, eliminating unplanned customer outages. Once a weak spot is found in the cable, it must be located and repaired. Alternatively, once an in-service failure is located and repaired, you need a way to verify there are no other problems on the cable before reenergizing. Now you have VLF Hipot testing at your fingertips to verify cable integrity! 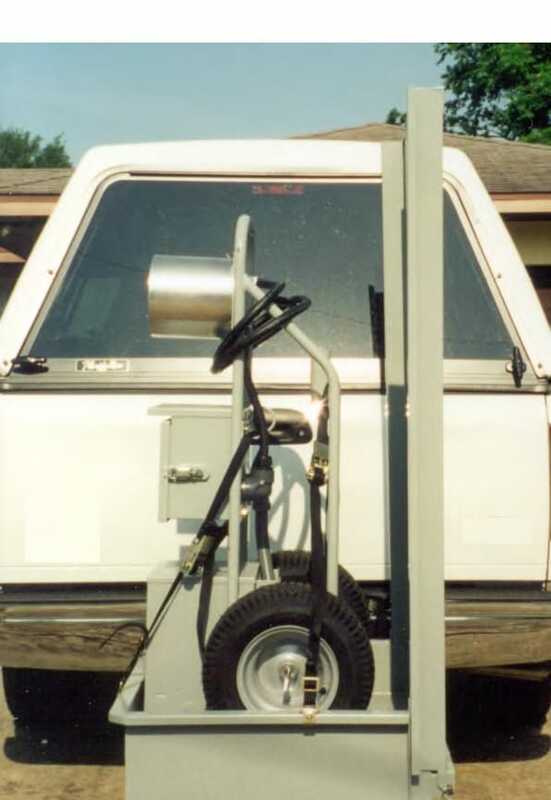 In 1996 Amperis Arc Reflection systems set the standard for ease of use in cable fault location equipment. This tradition is continued in the AXFV Series. With dual thump capacitors, cable faults can be located faster and at lower voltages than with competing single thump capacitor systems. The AXFV Series also provides higher voltages than competing systems to eliminate the need for unnecessary and damaging burning on extruded dielectric cable faults. For example the AXFV16-28, ideally suited for 15kV (7200V to ground) cable systems, provides up to 16kV of thump voltage, ideal for hard to breakdown splice faults. However, with dual thump capacitors, most faults can be easily found at 8kV or below. The AXFV series also offers the option for VLF or DC cable burning, as well as DC Hipot testing. Burning of cables faults is widely used in laminated (paper lead) cables, and allows more effective thumping and arc reflection with those cables. Also, it is available for those rare but real faults in extruded cables where a direct discharge from conductor to shield cannot be made without burning. Digital Current and Load Metering. 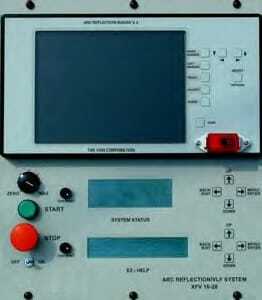 Current metering of resistive leakage current. Amperis Transporters provide a safe and easy way to transport XF series cable fault locating equipment or Savor temporary service restoration equipment. 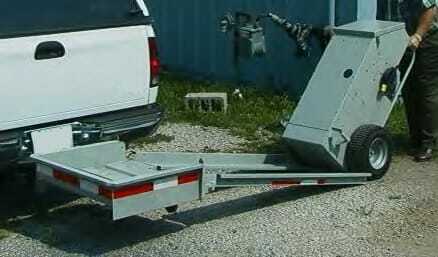 With a minimum of user effort the equipment can be moved to any job site with a truck equipped with a receiver hitch.